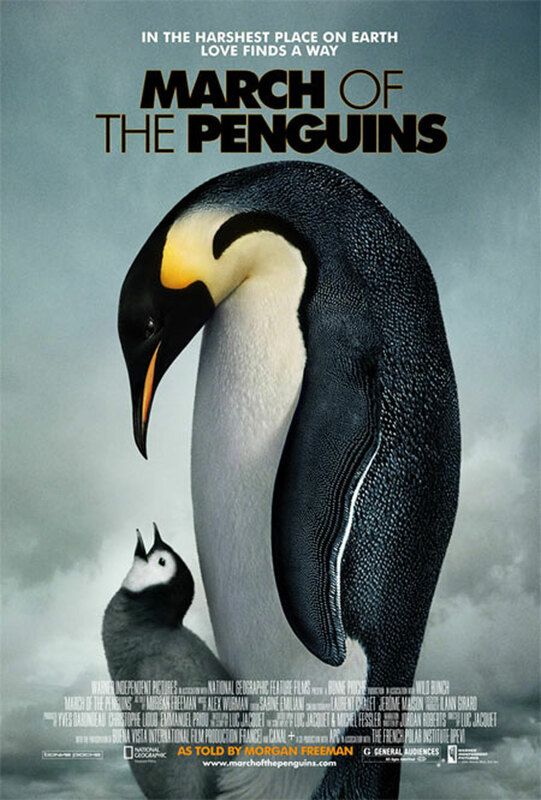 Summary: In the film’s opening, Morgan Freeman, the narrator, tells us as we watch thousands of Emperor penguins march in a single file, appearing so human-like, that this is a “story of life over death, a story of survival, a story about love.” But it is also the story of choosing a mate, breeding, protecting the chick, and the mother and father working together to assure continuation of the species. We watch in awe as the mothers march 70 miles to sea to find fish for their infant and the father withstands –80 degrees for a 125 days, to protect his chick. We witness their precise, synchronize, cooperation to procreate their species despite the innumerable risks. A mistake of one second freezes the egg, kills the chick and ends the life cycle of that family. All of this is filmed in ethereal beauty under dire conditions.